Welcome to Rye Harbour ; a small friendly park with a genuine family feel. Rye is one of those must-see places that everyone should visit at least once, and where better to stay than at Rye Harbour Holiday Park - situated alongside Rye Harbour and adjacent to a nature reserve, giving our holiday guests the very best of both worlds. The family club house provides regular cabaret shows and tours on the weekend throughout the summer and Sky TV is available for those all-important sporting fixtures. The small indoor pool may not be Olympic sized but it's perfect for children and adults who just want to splash about. Rye town centre is just 2 miles away from the park and we wouldn't be surprised if you spend several days exploring the history and culture of this fascinating town. Did you know that this part of Rye was once under the sea and the land has been claimed back over the years? Good job if you ask us, as we really like having such a nice park so close to Rye. A new caravan offering 2 bright and airy bedrooms, 1 double and 1 Twin room, this Holiday Home sleeps 6 fully grown adults, with a pull out bed in the lounge area. The Willerby Brockenhurst is winter ready, with fully domestic double glazing and central heating throughout. One double master bedroom with ensuite toilet. Second bedroom with two single beds. Kitchenette with microwave oven/ grill gas hob and Fridge freezer. Kitchen diner area for 4 people. Spacious lounge with two comfortable sofas french doors leading to decking area overlooking the nature reserve. and a double sofa bed. Came down with my children for a few days to visit family. The caravan was extremely nice and very well kept. Thoroughly enjoyed staying there and the owner was very polite and helpful. We had a great few days in Rye Harbour. It's close to Hastings and Camber so there's plenty to see and do. The caravan is very spacious and well equipped, the holiday park is also clean, well managed and secure. Great caravan, great price and would definitely recommend to others. The owner is also very helpful and responds very quickly to answer any questions. 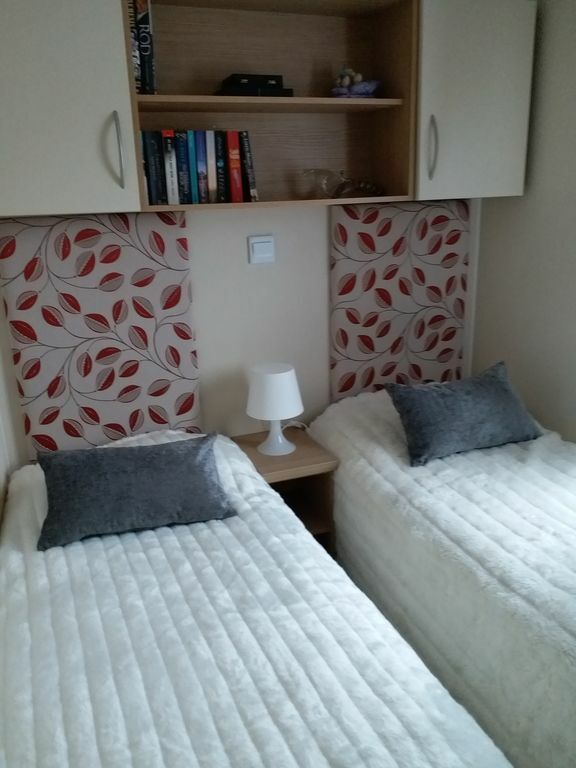 Very nicely furnished mobile home-modern,good utilities inside,comfortable and cosy, owners very helpful and approachable and accessible for support. I enjoyed the stay greatly. beach close by, good opportunities for running. Really sorry about communication; We found the keys thanks. Was sure I had spoken to you on the phone some months before. This is a great place with everything that you need. Excellent range of kitchen equipment and great little kitchen with fridge freezer, microwave and good-sized oven. Excellent position for Rye Harbour and its nature reserve or visits to Rye or Winchelsea. Excellent value. We had a great stay at this clean, comfortable, well-equipped caravan just a few minutes drive from the lovely town of Rye. It was the perfect size for the two of us. We enjoyed the patio for bird watching and pretty sunsets. The fireplace made it cozy. The bed in the main bedroom was comfortable. (We used the smaller bedroom for our luggage.) Great access to walking paths in the Nature Preserve. Units are close together, but it was quiet in early Oct. We did not use the park facilities, except for the laundrette, which was fine. Good home base for visiting Rye, Hastings, Camber Sands, Dover, and Herstmonceux Castle if you have a car. There is a train station in Rye, but we did not use it. This unit has much to offer at a very affordable price!